I teach a combined 5/6th-grade Literacy class for English Language Learners. It's a small class (which is a blessing after many years of large classes)- so I kind of treat it like a lab. I find it much easier to try new things with 10, than with 30. Because all of my kids are language learners, we spend time every single day reading and writing. They respond very well to mentor texts, so we use them all the time. On the weekends, I usually read as many education blogs as I can, looking for ideas and strategies to use. 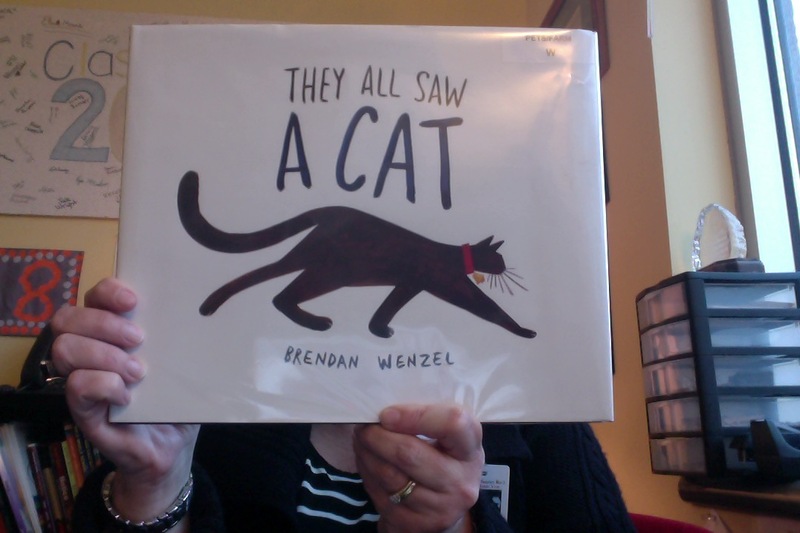 They All Saw A Cat, by Brendan Wenzel has beautiful illustrations, all showing what the cat looks like from the perspective of other animals and people. The best part about using books like this is that language isn't a stumbling block because the text is minimal. They infer most of the information based on pictures. The first few times I used picture books in my classroom, I was concerned the kids might think the books were too babyish. Luckily, that hasn't been the case. They love being read to, and I love reading out loud. Bonus!